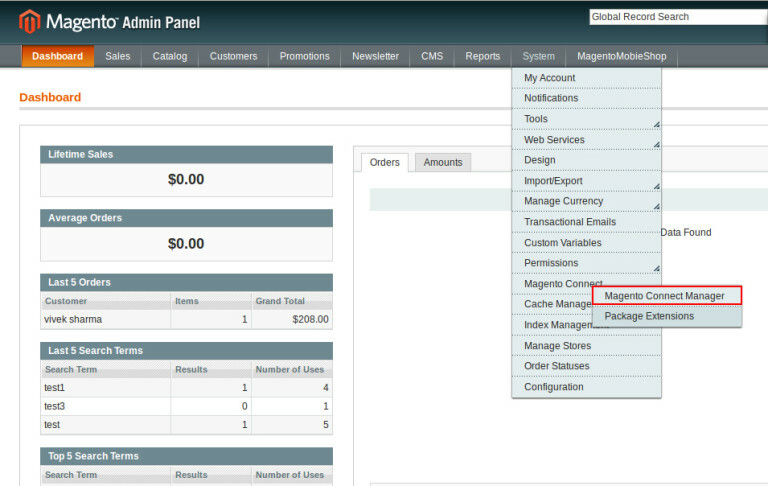 Step 2: In the menu tabs, click System > Magento Connect > Magento Connect Manager. 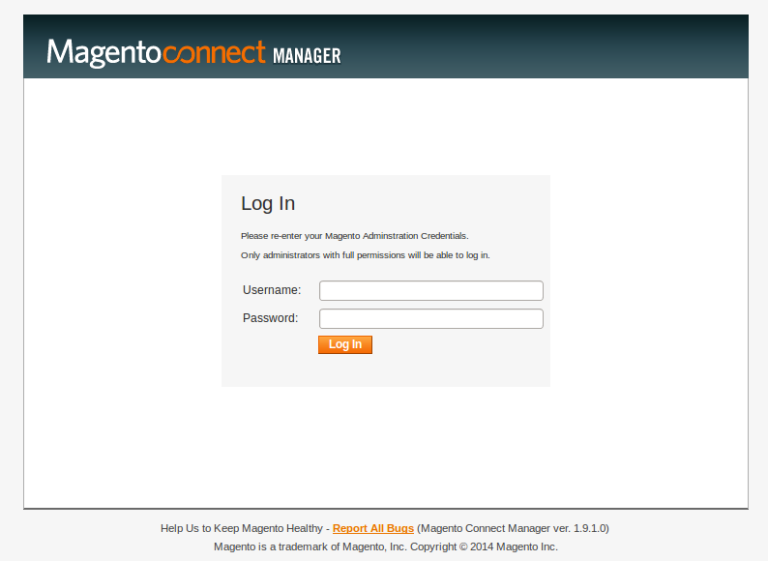 Step 3: Login using your username and password for Connect Manager. Step 4: Visit the Magento Existing Extensions section in the Connect Manager and browse for the extension you wish to uninstall. Step 5: From the column “Actions“, choose “Uninstall“. Step 6: Click on the “Commit Changes” button to successfully remove the extension. Step 7: Click on “Return to Admin“. Step 8: In the menu tabs, click System > Cache Management > Flush Magento Cache. You can also request our assistance in the uninstallation of the extension from your website. Drop us a message at contact@magentomobileshop.com and we will contact you.